Comic-Con was the place to be this weekend in San Diego, with a ton of panels from my favorite shows, as well as some hot parties. 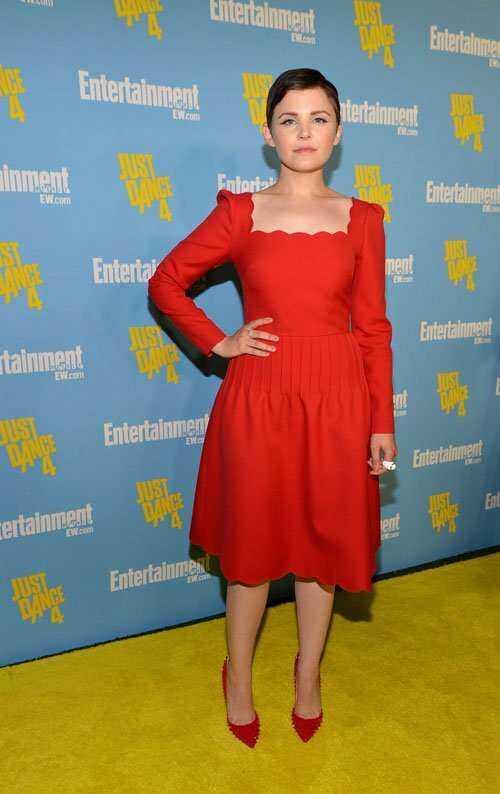 Ginnifer Goodwin attended Entertainment Weekly’s 6th Annual Comic-Con Celebration in a long-sleeve red dress with a scalloped neckline from Valentino’s Fall 2012 collection. She accessorized with red Pigalle Spikes Pumps from Christian Louboutin and a white agate and 18K gold Blanc de Chine ring from PLUKKA. Beautiful! Visit www.valentino.com for more information and see Ginnifer’s dress on the runway, worn by Ava Smith.